Michael Kozlowski #1 Individual RE/MAX Agent in the State of Colorado! 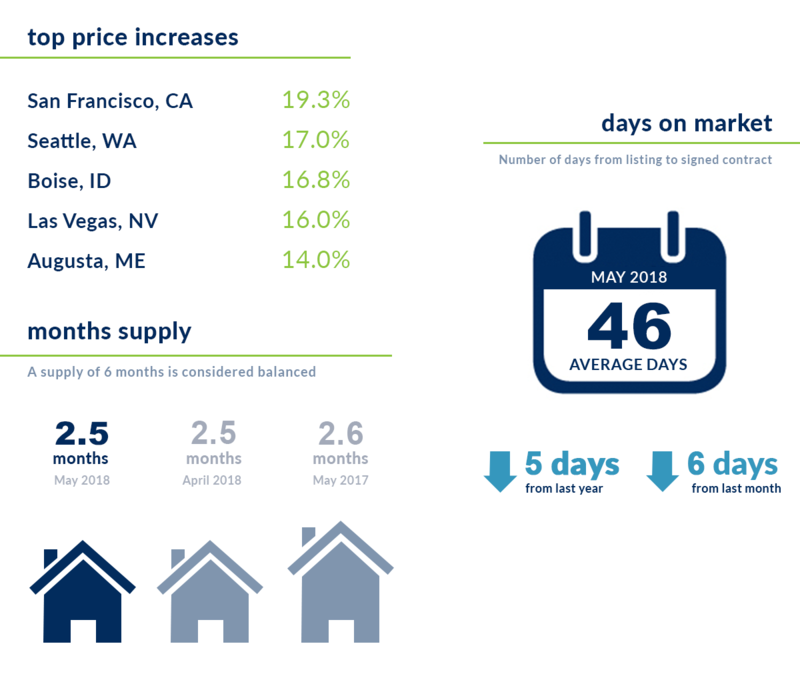 Selling Homes Over Full Price Already in 2018! - Closed dollar volume $2.549 Billion. 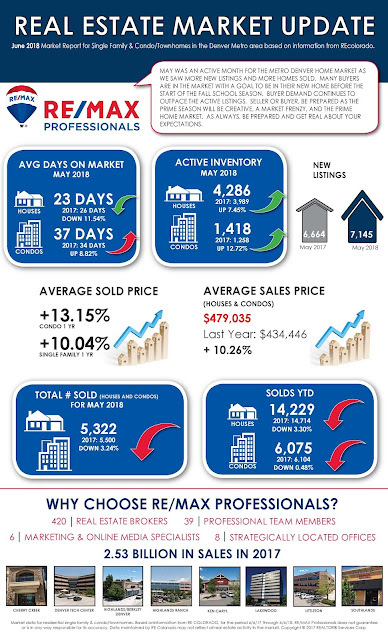 May was an active month for the Metro Denver home market as we saw more new listings and more homes sold. Many Buyers are in the market with a goal to be in their new home before the start of the fall school season. 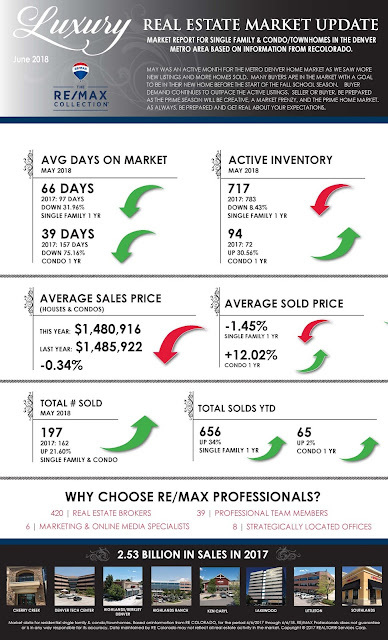 Buyer demand continues to outpace the active listings but inventory rose significantly this month. Seller or Buyer, be prepared as the prime season will be creative and could be a market frenzy in some areas and price ranges. As always, be prepared and get real about your expectations. Seller preparation includes a good pricing comparison analysis, instructions on staging, what are the top improvements, and a conversation on how the market functions. As such, the homeowner looking to sell a home needs a professional who is a local expert, market knowledgeable, and can assist in the Professional plan to sell one’s home. 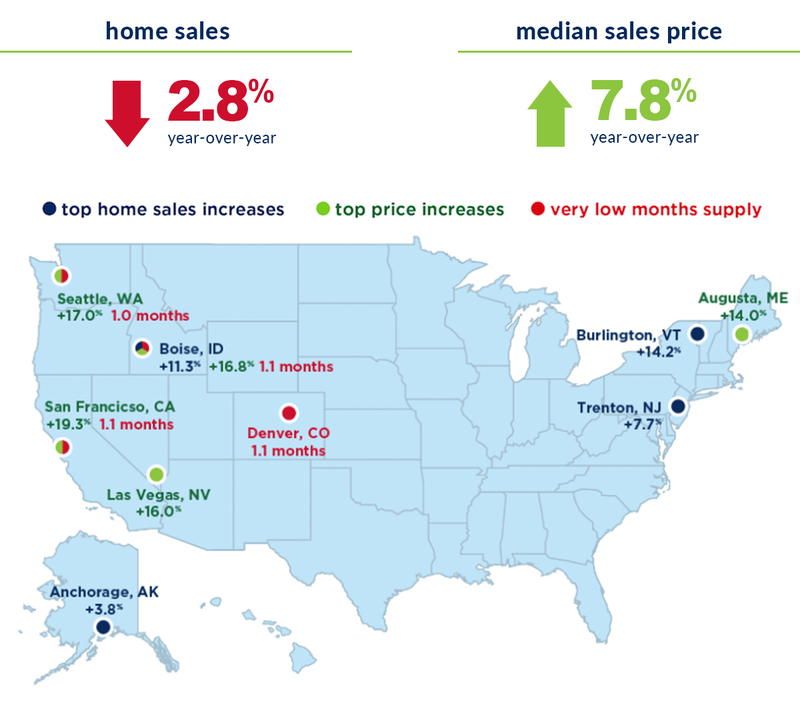 Now is the time to buy as the Denver home market is strong and healthy. Buyer demand is greater than the number of homes for sale. As a Buyer, make the offer that works for you and is the offer that you can complete to close the transaction. The Denver home market is becoming very creative again with multiple offers, bidding opportunities, and price appreciation. Similar to the above comments, be prepared to act quickly. Be aware that Sellers are becoming concerned with Buyers who make a competitive offer, get the home under contract, and later terminate the contract. The Metro Denver population is increasing and Buyer’s are looking for their American Home Dream. Create your home buying plan and stick to it. Incredible Custom Home on 1/2 Acre! Panoramic Mountain Views! Wide Open Spaces! Cul-de-Sac Location! Michael Kozlowski #1 Individual RE/MAX Agent in the State of Colorado Selling Homes Above Full Price in 2018!